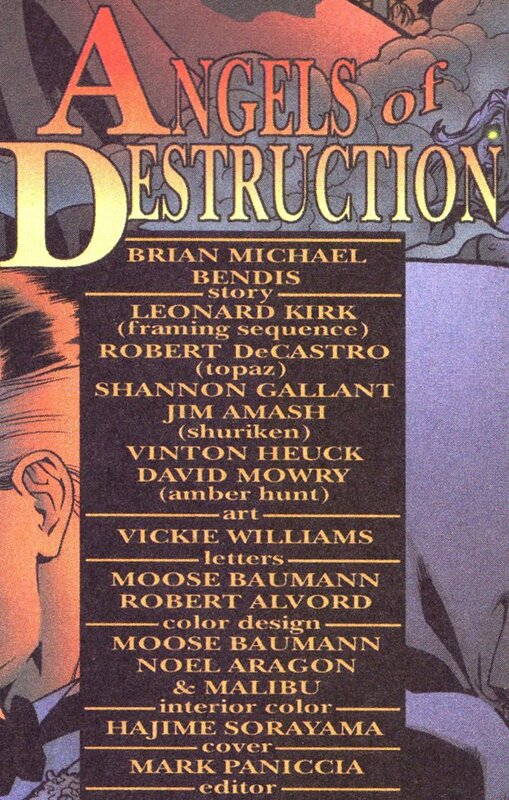 Angels of Destruction is a book that came out near the end of the Ultraverse. It actually has a lot going for it, notably a Hajime Sorayama cover and writing by the now-famous Brian Michael Bendis. It’s a visually interesting book and certainly had potential. Not sure where they were planning on going with this, but it is a good read. Chronologically it fits between Ultraverse Unlimited 2 and Future Shock (which was actually the final Ultraverse publication). But where should it fit in your collection? The only thing that keeps the rating down is that Angels of Destruction is extremely easy to find for a buck or two. Four recent sales on eBay were all for between $1 and $2. Mycomicshop.com has a copy for $2; Mile High Comics inexplicably wants $8.50 for theirs. 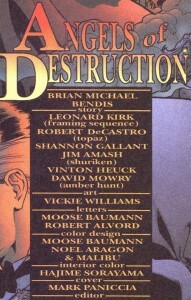 A few of these tail-ender books have some of the lowest print runs for any of the Ultraverse titles, but the number of pre-orders for Angels of Destruction was relatively high at 38,208, compared to Prime 13 which came out the same month at 12,396 (source for these numbers is http://www.comichron.com/). Apparently he doesn’t want us to seek out this book.